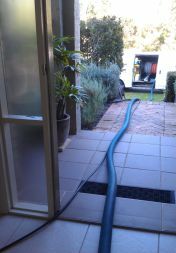 Residential Carpet cleaning is important! Carpeting is a major investment in your home, and regular cleanings are necessary to keep it looking new. Just as the clothes we wear need regular washing to keep them fresh and hygienic, so carpets require periodic professional Residential Carpet Cleaning. 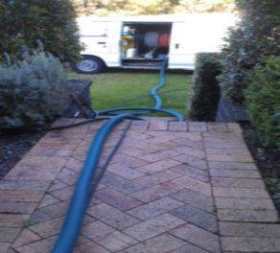 On the Northern Beaches accumulated sand, soil and grit are major causes of reduced carpet life, and also enable destructive and health harmful mites and bacteria to work unchecked. Residential Carpet cleaning costs are minimal when you consider the replacement cost of carpets and soft furnishings, so regular steam cleaning of both carpet and upholstery makes economic sense too. All residential carpet should be professionally Steam Cleaned at least once every 12 to 18 months. However if you have a very busy household or have pets, you may require as many as two or three cleans per year. I can advise you better after cleaning your carpet, how often you should clean your particular carpet and whether it will require the reapplication of any stain protection chemical. 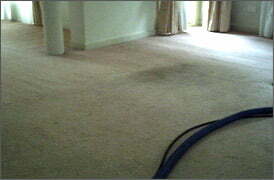 See Stain Restraint carpets below. Residential carpet cleaning is priced on a per room basis, a Standard Room is approximately 10 to 12 sq meters and a combined Lounge Room and Dinning Room is considered two rooms. Deodorising, Sanitising and Spotting is included in our pricing. 1st Standard Room/Rug $ 100.00 which is also our minimum charge. Each Standard Additional Room or Rug is $ 28.00-$38.00. First Hall Free (up to 2 sq metres). Additional Halls $ 19 each. Stairs start at$3.90 each standard step. Discounts apply for 15 or more steps, so always ask for quote. Three Bed Room Unit is approx $185.00 Units are subject to access please see below. TERMS are Full payment on completion of work by Cash, MasterCard or Visa Card only. No Credit Accounts. Above Prices are a guide only and subject to change. We use only the most powerful and effective and environmentally friendly professional carpet cleaning chemicals manufactured by the industry leaders both here and the USA such as Prochem, Citrus Resources, Powerclean, Hydramaster, and Bridgepoint, so we can give you the benefit of cleaner and healthier carpets. If you would like to know what you need to do, to prepare for carpet cleaning please click on the link titled Getting Ready Things you need to do If you still have any questions please hesitate in contacting us. Due to the cleaning equipment being fixed to the Truck there are restriction on what buildings I can clean. Must have Off Street Parking with-In 10 Meters or so of ENTRY ( See Photo’s Above ) to Area to be Cleaned. For Home Units I Must Park Directly under Balcony or at The Bottom of Stairwell., this is not always possible in NEW Unit Buildings. I carry a total of 35 Mt of hose. Must have a water tap near the van. I do not need access to electricity. Sorry No High Rise Buildings above 2nd floor. Please phone us for more information regarding access. If we cant help you, we have a list of company’s that we can recommend that use portable equipment. 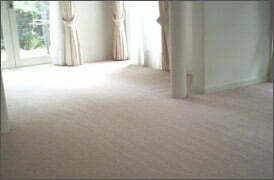 For all patching, re-stretching and repairing of your carpets. and let dry. If necessary put a small fan on blowing air across the area. This method works with soft drink, tea, coffee, and alcohol drinks. On wool carpets add 20% white vinegar to the last lot of Soda Water.DO NOT USE GENERIC SUPERMARKET SPOTTERS. USE ONLY CARPET SPOTTERS THAT ARE APPROVED BY YOUR CARPET MANUFACTURE.